State and local government bond sales have tumbled this year, but it’s not because they’ve given up on raising money to fix America’s roads, schools and bridges. The amount of municipal securities issued for new projects — as opposed to those sold just to refinance higher-cost debt — has risen to about $99.5 billion, or 64% of the market. In the first half of last year, those bonds accounted for 45%. “Infrastructure is an easier sell in a good economy,” said James Iselin, portfolio manager at Neuberger Berman Group, who manages $10 billion in municipal assets. There is a clear need for infrastructure development. In 2017, U.S. infrastructure scored a D+ rating, according to the American Society of Civil Engineers, which grades the state of U.S. infrastructure every four years. 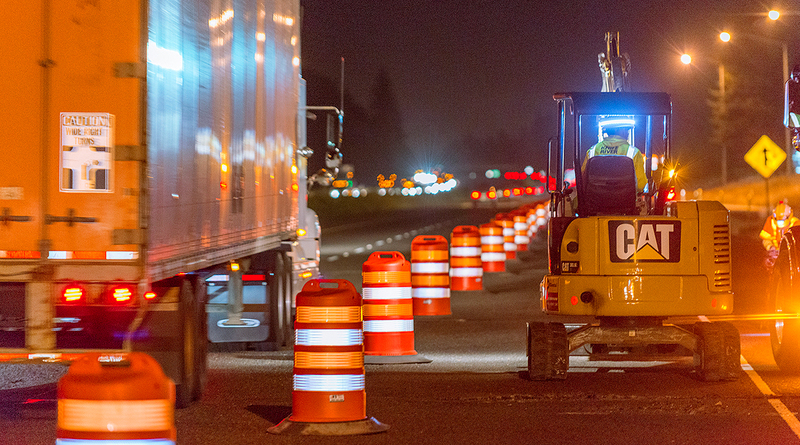 A D grade indicates that overall infrastructure is below standard and a large part of the system exhibits deterioration, causing a “serious concern with a strong risk of failure,” according to the society. Texas issued the most new money debt in the last six months, bringing $11.7 billion to market, followed by New York and California. Major projects include Texas’ Grand Parkway with $1.5 billion, and $1.2 billion for a Los Angeles Airport people mover. Wyoming is the only state where no bonds for new projects were issued. Bank of America Merrill Lynch expects new money issuance to “far exceed” last year’s total, analysts wrote in a midyear revision of 2018 supply expectations published June 25. “We forecasted $220 billion of new money issuance for the year. This is now likely a great underestimate,” wrote Yingchen Li, municipal research strategist at Bank of America, the biggest municipal underwriter. Although new money spending is on the rise, it’s not enough to quell the decline of overall issuance caused by the elimination of tax-exempt advanced refundings. States and local governments have brought $156 billion in municipal bonds to market as of June 29, a 17% decrease in issuance from the first half of last year, according to data compiled by Bloomberg.